Everybody hates clutter. When things start getting in the way and you are already limited for space, you might start wondering what you need to do in order to clear some room. Maybe you have moved into a smaller house? Or you might just have items taking up space but which you don’t want to throw away for sentimental reasons? Perhaps a child has recently flown the nest and you are looking to clear the rest of their room so it can be used for other purposes? Whatever your reason, the bottom line is – space is valuable! White goods that are still working but are not being used are suitable for storage. This could involve anything from fridges to washing machines. They are probably the most bulky items and take up lots of free space in a home. 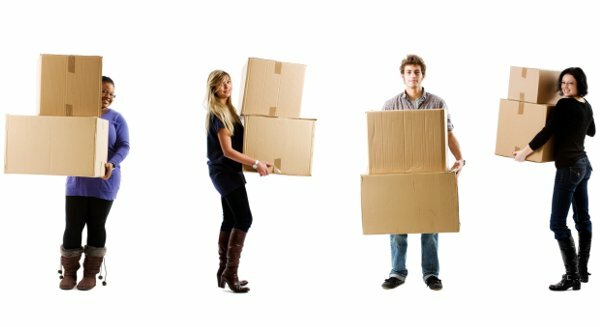 Whilst you are figuring whether you should sell them or not, moving them into storage can be a great way to make some room in your home. Having pianos, keyboards, guitars and other instruments lying around your house which are not being used can take up a considerable amount of space. Store them somewhere securely until you need them or have someone to pass them onto to stop your home looking like a music shop. Whether you’re taken a break from your workout regime or have updated to other machines, choosing to place old gym equipment in storage can take these chunky items out of your home. Static bikes, treadmills and weight machines can all look pretty unsightly in the home anyway and placing them in storage means you can keep them fresh ready for future use or a future sale. If someone has moved out of your home but you don’t want to get rid of the furniture or sell it on then consider transporting it to a self-storage facility instead. This can clear loads of room and ensure items are easily accessible should you need them again in the future. Whether you’ve outgrown your garden shed or only want seasonal gardening supplies kept at your home, moving the mower, strimmer or other gardening equipment to a storage facility can be a great space-saving solution.